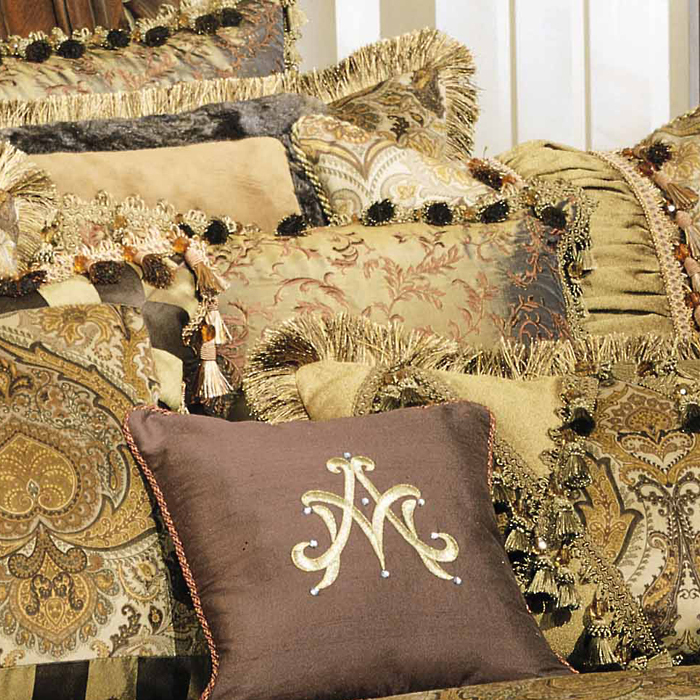 Rich textures, divine chocolates and lavish details! 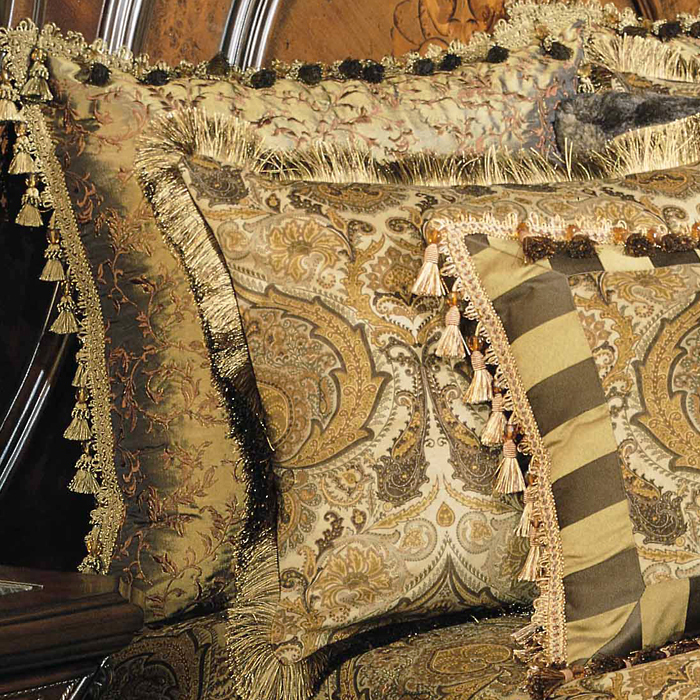 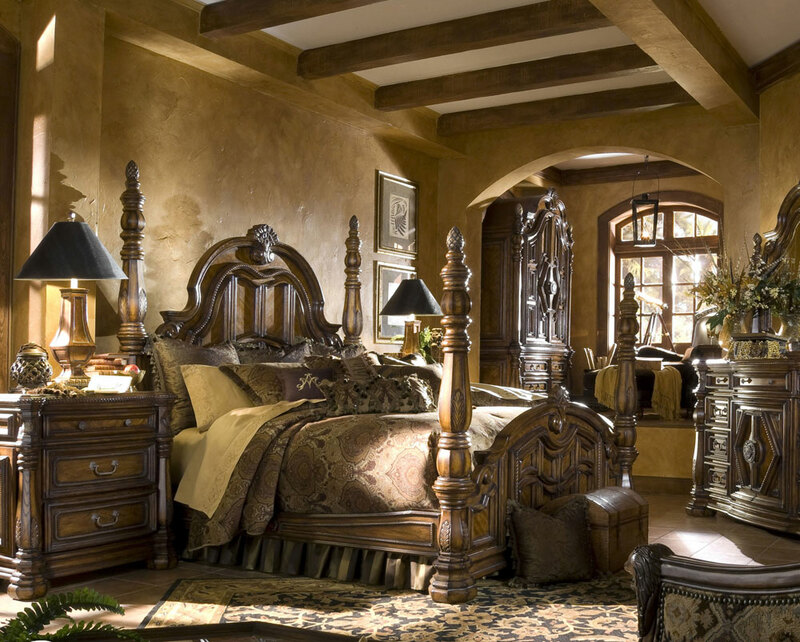 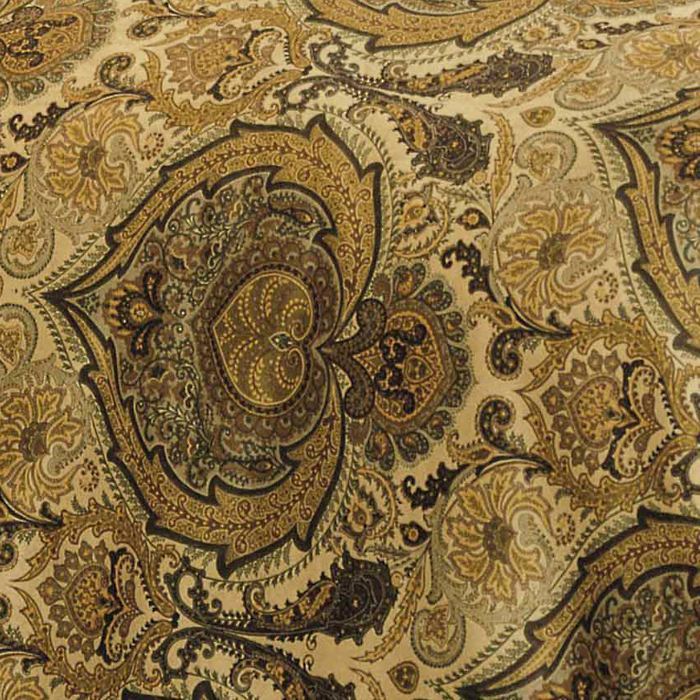 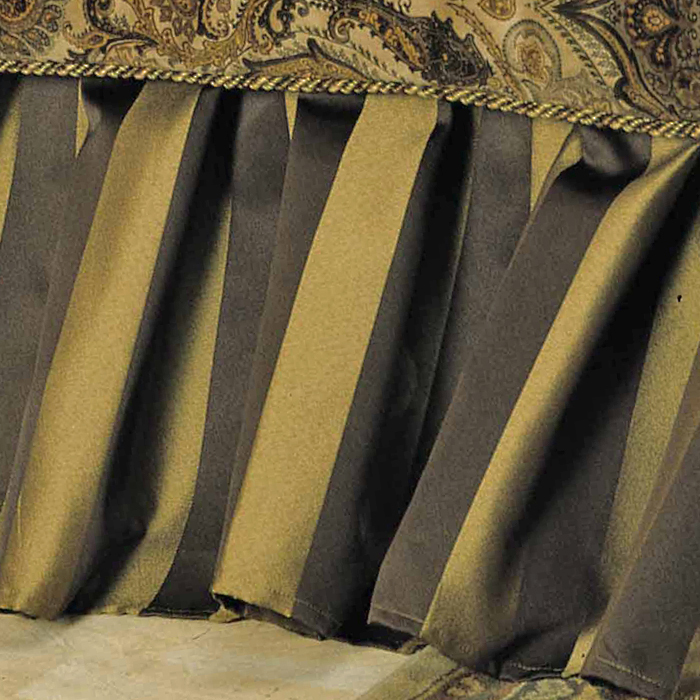 The Pontevedra offers a gorgeous blend of varying shades of golds, olive, and dark and medium browns. 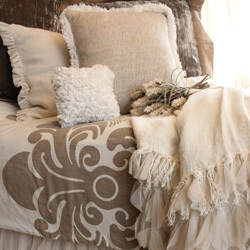 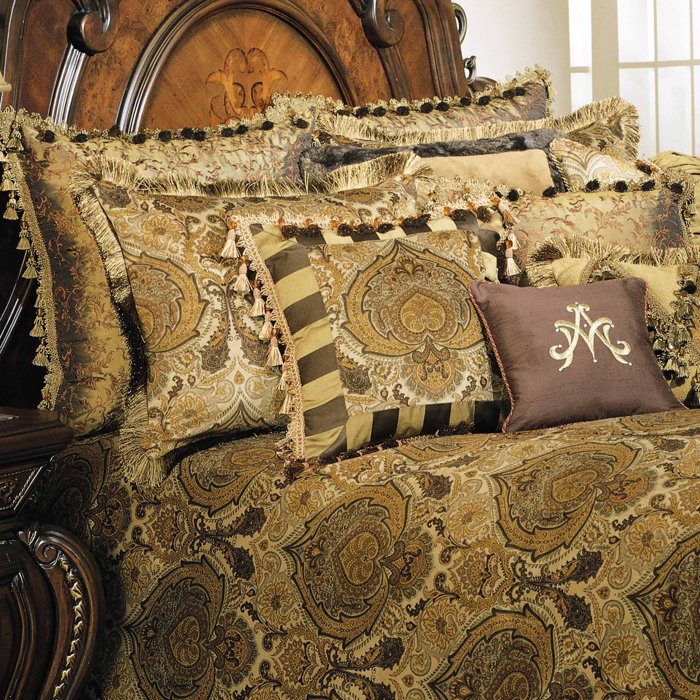 The plush velvet textured comforter is enhanced by the exquisite trims and chocolate fur accents. 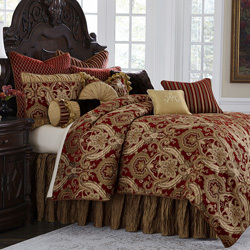 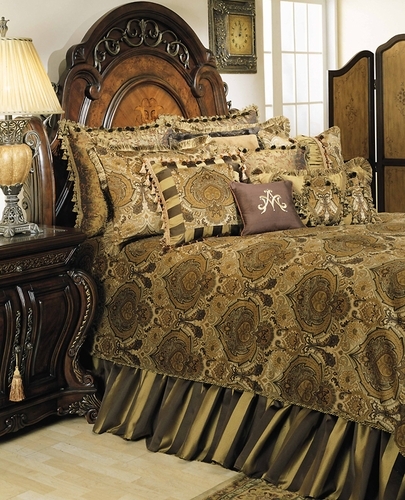 The Pontevedra is truly a designer quality ensemble complete with shams, bedskirt and six accent pillows. 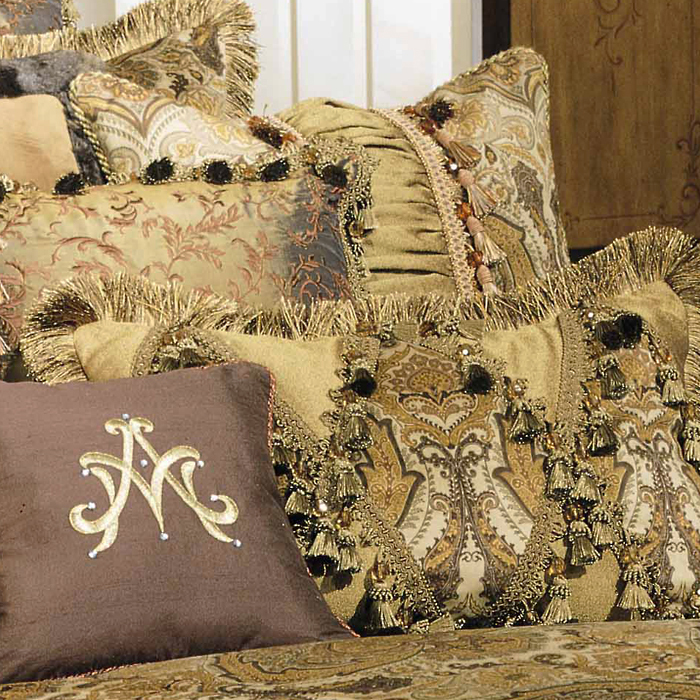 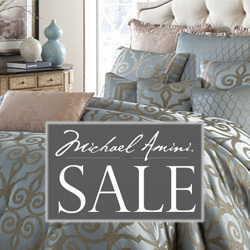 • The Michael Amini Pontevedra is considered a special order item.